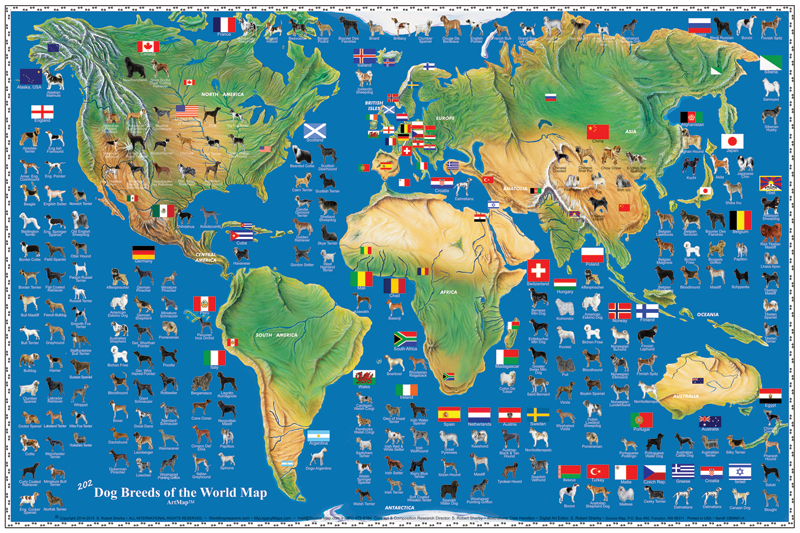 This HORSE BREEDS of the WORLD ArtMapTM features fine-art illustrations of 139 breeds placed on a beautiful 24" x 36" world map. Each breed's characteristics and history are cross-referenced alphabetically in border vignettes. This popular equine map is available for custom/corporate imprint. 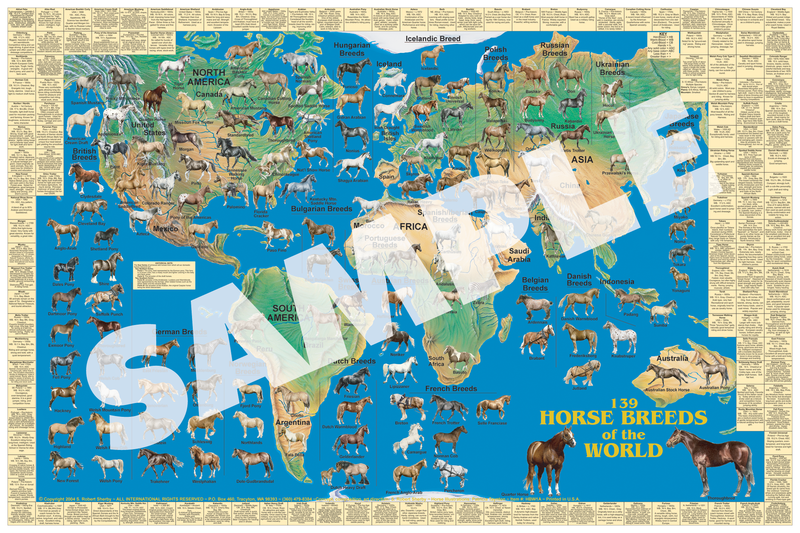 This premium Horse Map is printed on 100#, acid-neutral paper with varnish coat so that it will last for years. 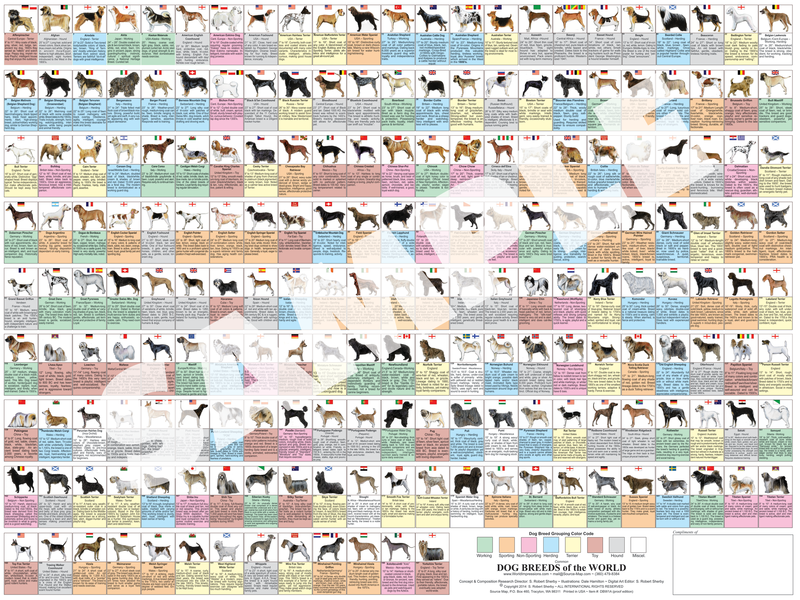 This DOG BREEDS of the WORLD Poster features fine-art illustrations of 197 common breeds placed on a beautiful 24" x 32" chart. Presented are each breed's name (in alphabetical order), country-of-origin (and flag), classification grouping (color-coded), size in inches, coat discription, coloration, historical date-of-record, common talents and traits. 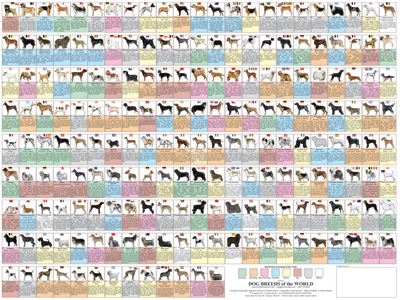 This popular canine chart poster is available for custom/corporate imprint. This premium Dog Chart Poster is printed on 100#, acid-neutral paper with, or without, 1.5 mils of lamination (1.5 mil.-top + 1.5 mil.-bottom). 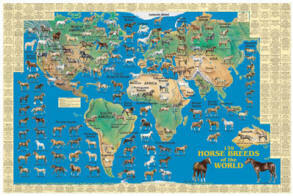 This HORSE BREEDS of the WORLD ArtMapTM features fine-art illustrations of 139 breeds placed on a beautiful 24" x 36" world map. Each breed's characteristics and history are cross-referenced alphabetically in border vignettes. This popular equine map is available for custom/corporate imprint. This premium Horse Map is printed on 100#, acid-neutral paper with varnish coat so that it will last for years.